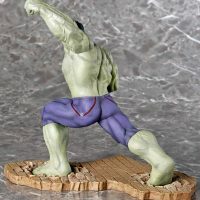 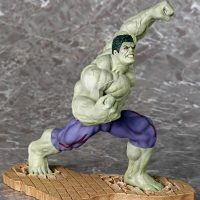 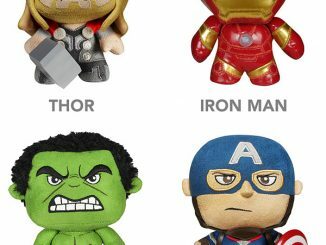 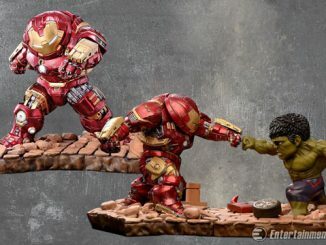 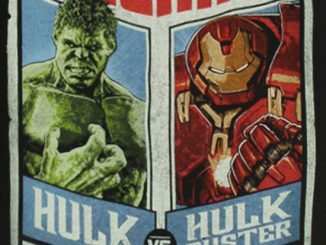 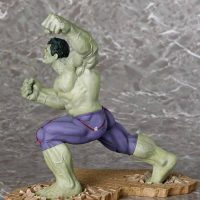 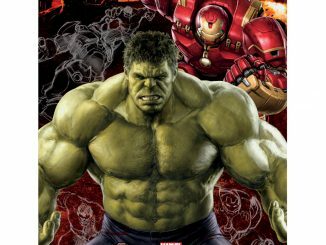 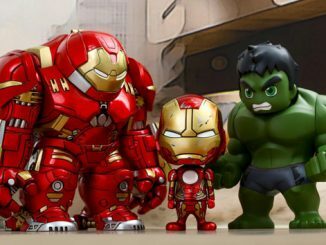 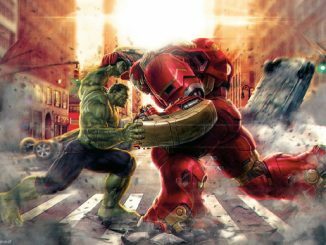 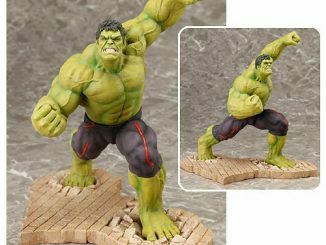 The Hulk isn’t really known for being calm but the Avengers: Age of Ultron Rampaging Hulk ArtFX Statue shows Bruce Banner’s angry alter-ego taking his temper to a whole new level. 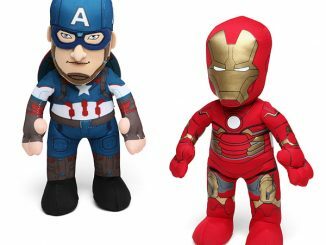 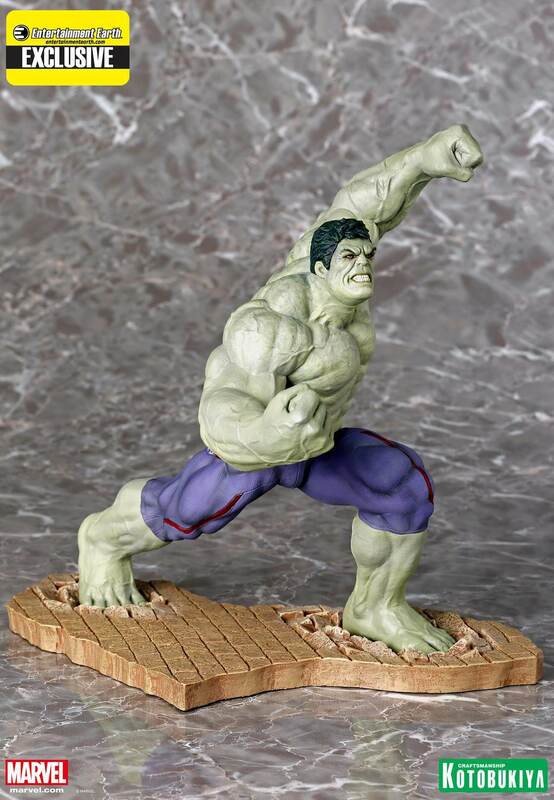 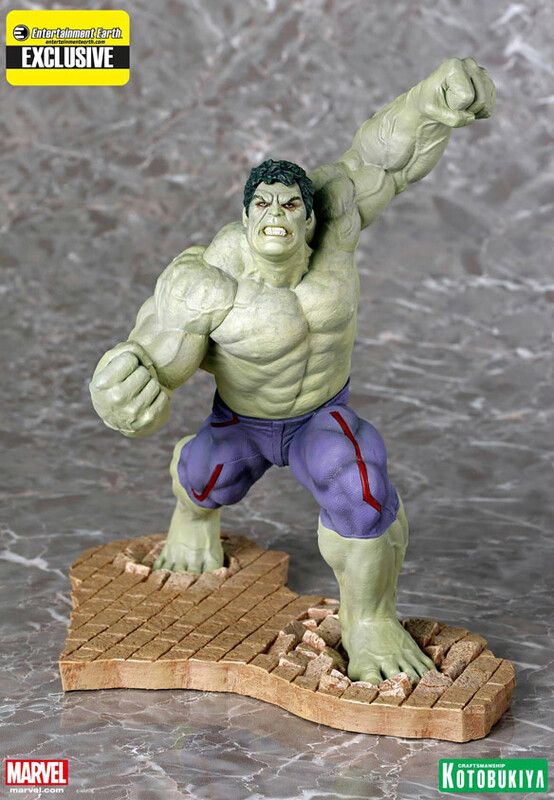 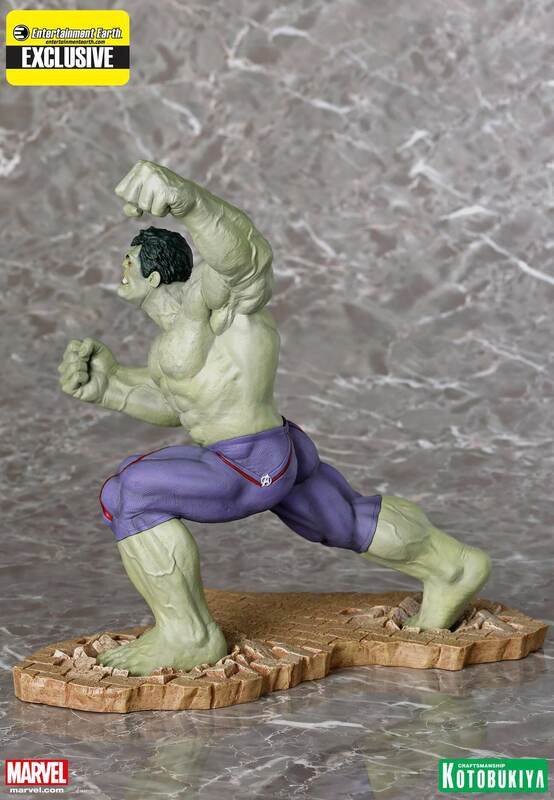 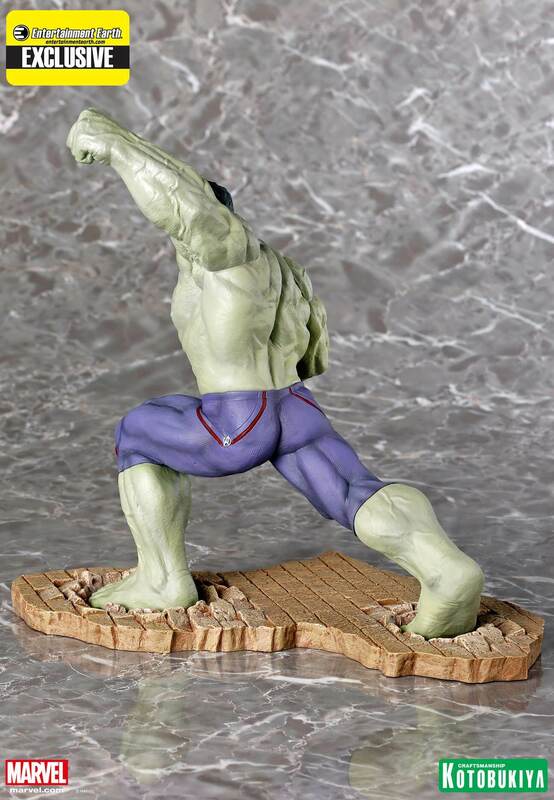 Based on the Avengers Age of Ultron Hulk ArtFX Statue, this exclusive 9 1/2-inch tall statue features the Hulk as he appeared while under the control of the Scarlet Witch, with a lighter green skin tone and red-tinged eyes. 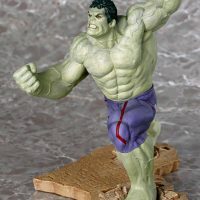 Even his pants reflect the change, with the purple being lighter and the red being darker. 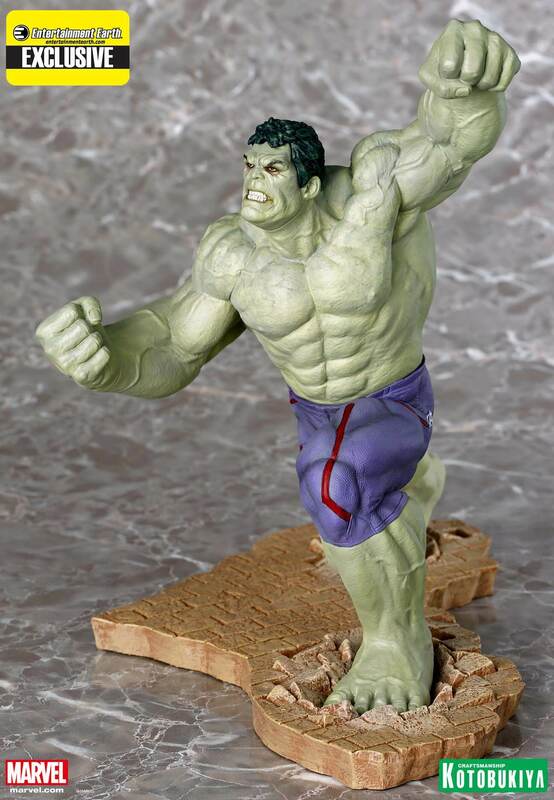 You know the girl is tossing some serious magic around when she can make a guy’s pants change color. 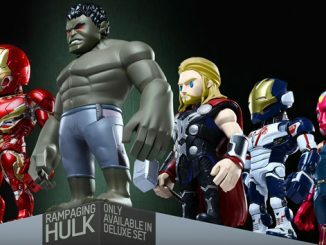 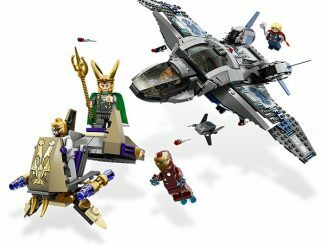 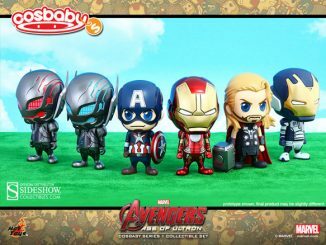 The Avengers: Age of Ultron Rampaging Hulk ArtFX Statue will be available exclusively at Entertainment Earth in November 2015 but it can be pre-ordered now for $79.99.